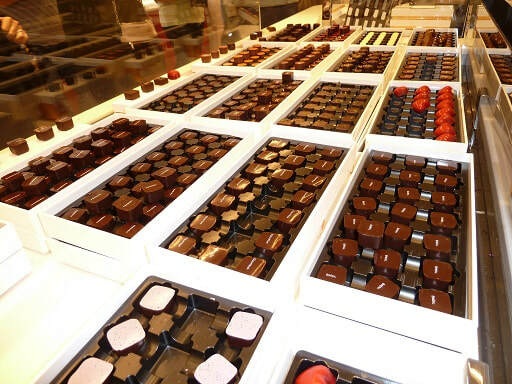 Beer and Chocolates – Must be Flanders! 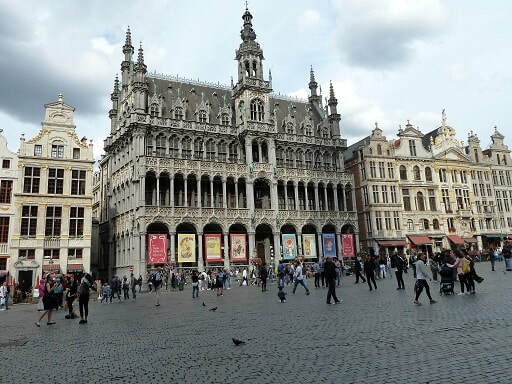 Europe’s most beautiful city square, arguably, is in Brussels - and you don’t have to wander far down a side street or opulent shopping arcades before coming across windows full of mouth-watering chocolates or a hip bar selling more beer varieties than an Aussie cricket team could handle. And Flanders boasts more than 100 Michelin-starred restaurants and is recognised as having one of the world’s highest densities of top-class venues. But eating and drinking aside, Flanders and its thriving cities is rich in culture, some seriously quirky, such as Manneken Pis (little pee man, in Flemish). It’s a small bronze fountain statue from the 17th century. 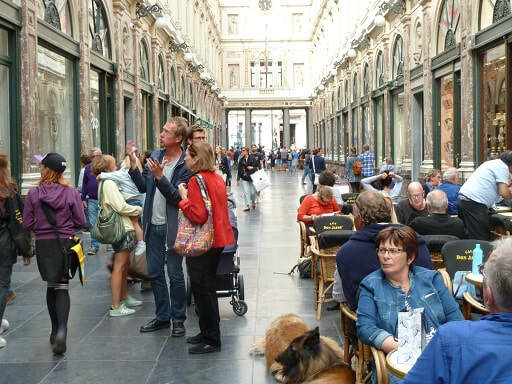 On most days, Brussels’ magnificent Grand Place and town hall square – a mixture of styles and periods - is a heaving mass of both locals and tourists. Begun in the 15th century, it was destroyed in the 17th century and renovated in the 19th and 20th centuries it became a UNESCO World Heritage Site 20 years ago. A tour of the Royal Palace, along with visits to the Cathedral of Saints Michael and Gudula, countless art galleries and museums will keep you busy for at least three days – and that should be the minimum stay in the ‘Capital of Europe’. 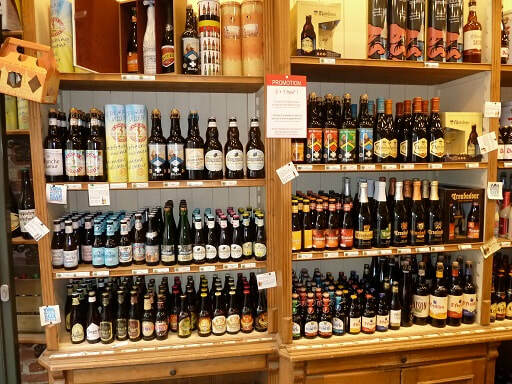 Just 26 kilometres by train from Brussels, Leuven is a bustling university city, where there’s a heavy focus on beer consumption – after all, it is the home to the world’s largest brewing company – AB inbev Brewery - producers of Stella Artois, Leffe and Hoegaarden. It produces more than 40 million litres worldwide and has a bigger turnover than Coca Cola – 56.4 billion US dollars in 2017. Another top drop is Old Leuven blond, inspired by a classic beer whose 18th century popularity led to it being hailed as ‘the king of all drinks’. 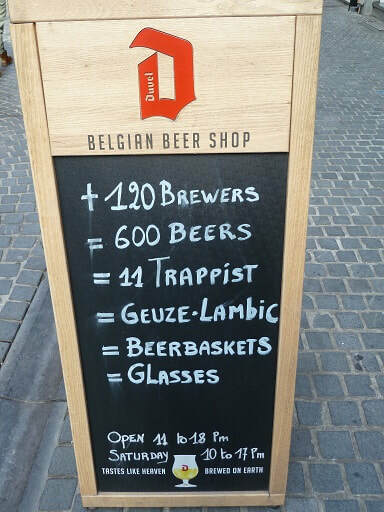 Leuven is a survival city. After being raised by the Germans in the First World War when most of the city centre was burnt to the ground. In the aftermath, its huge library became an American legacy. It was rebuilt following efforts led by Herbert Hoover, when he was the president of the Commission for the Relief of Belgium – an organisation set up to provide emergency supplies, medicine and food. Hoover later became America’s 31st president. The library was also bombed in the Second World War. Again restored, it now contains four billion books. 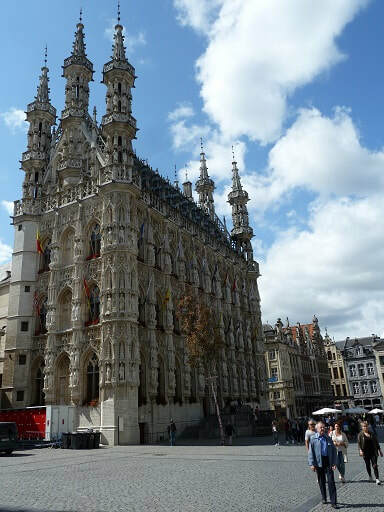 Not to be missed in Leuven are the 15th century town hall, interior of St Pieter’s Catholic Church – one of the best examples of late Gothic style - and the Old Market Square, known as the ‘longest bar’ in Europe. Flanders is renowned for its rich tradition of tapestry. Although the making of tapestries in Flanders stopped in the 18 century, its art still lives on in places like the De Wit Royal Tapestry Manufacturers in Mechelen. It’s open every Saturday and gives an insight into what makes Flemish tapestries unique. Mechelen has been called one of Flanders’ most under-rated cities - and also lays claim to having some of Belgium’s famous beers, such as Het Anker’s Maneblusser, a pale ale that dates back to 1687 when the moon projected its reddish glow on the city’s St.Rumbold tower, which was covered in a dense fog. A drunken man was heard shouting “Fire, fire, the tower is on fire” – but before firefighters could reach the so-called blaze, the moon slowly moved through the fog. Since then, Mechelenanians have been called the Maneblussers or ‘Moonextinguishers’. Don’t leave Mechelen without climbing up the 538 steps of St. Rumbold’s tower from where there are draw-dropping views of the city from its sky walk; the city’s cathedral, regarded as Belgium’s foremost; and Kazerne Dossin museum, which tells the story of the persecution of Jews and gypsies in Belgium. 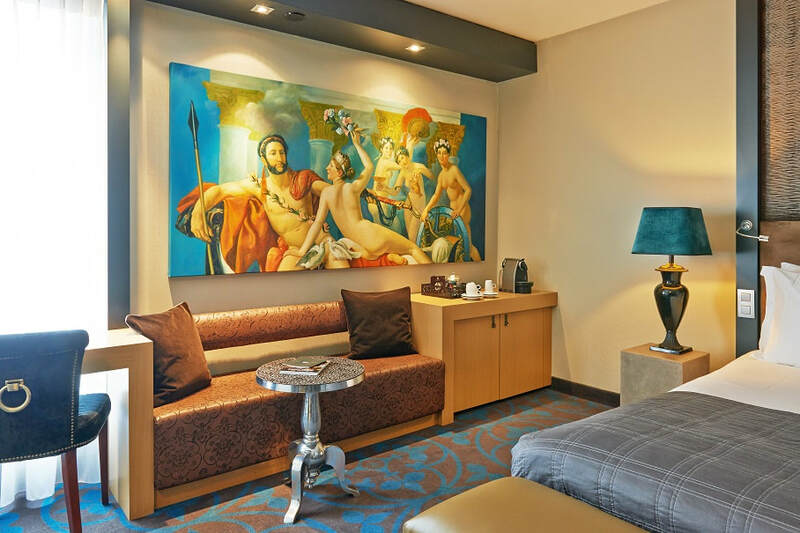 I’ve bedded down in many high-class hotels around the world, but one in Brussels that is not only elegant and offering ‘indulgent hospitality’ – but the wonderful staff really cared for me when I suddenly became unwell and had to seek medical help, resulting in an extra two days stay. The Dominican Brussels - centrally located among the city’s distinguished guild houses of the splendid Grand Place – is in a class of its own when it comes to style and service – even at the front entrance, where a dapper doorman greets guests wearing checkered pants, with a white button-up shirt, black wool waistcoat, a red tie and a black bowler hat. The hotel’s 150 rooms and suites are highlighted by bespoke carpets, which feature an ecclesiastical pattern inspired by the Dominican Abbey Order that once resided in the location- one which boasts a rich history and was a source of inspiration in the design of the hotel. 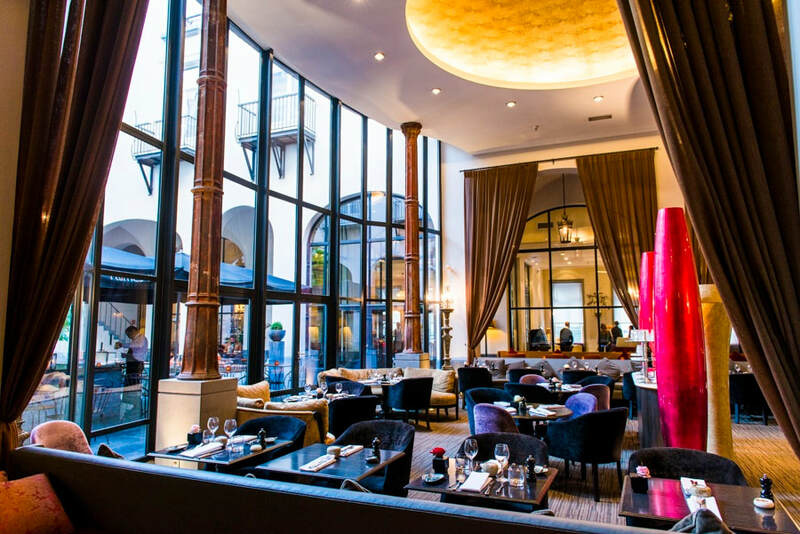 *After sampling the Dominican’s restaurant, the award-winning Belga Queen – just a few hundred metres from the hotel – is another Brussels gem. Try lobster baked on a hot plate, bird’s beak peppers, jus of lemon and lobster oil. Galeries St Hubert (one of the first shopping arcades in Europe).